HILLCREST family home offers a recently completed main floor renovation with 2011 new roof, hardwood, custom kitchen cabinets, wiring, gas FP, paint & more! Huge 1/3 Acre lot in perfect residential area offers lakeviews of Shuswap Lake & downtown Salmon Arm. 3 Bedrms up including main floor master w/full ensuite. Heated tile floors in upper bathrms. Huge living room with gas fireplace insert & lower floor family room that offers a wood burning metal insert. Custom kitchen cabinets, eating breakfast bar, phone desk, pantry & beautiful stainless steel appliances including a gourmet gas stove! Single attached garage can easily be expanded to add another double garage or carport directly in front. Lower floor offers additional bedrm, half bathrm & den with a full unfinished area for additional bedrm if required along with a huge laundry room. New hot water tank just installed. Seller is a meticulous tradesman & has just sub-divided the original property to build a home next door, now under construction. Quick possession dates are possible. Home has new services for gas, power & water. Lower level has rear access door for loading wood easily & makes converting the lower level into a mother-in-law suite very simple too. 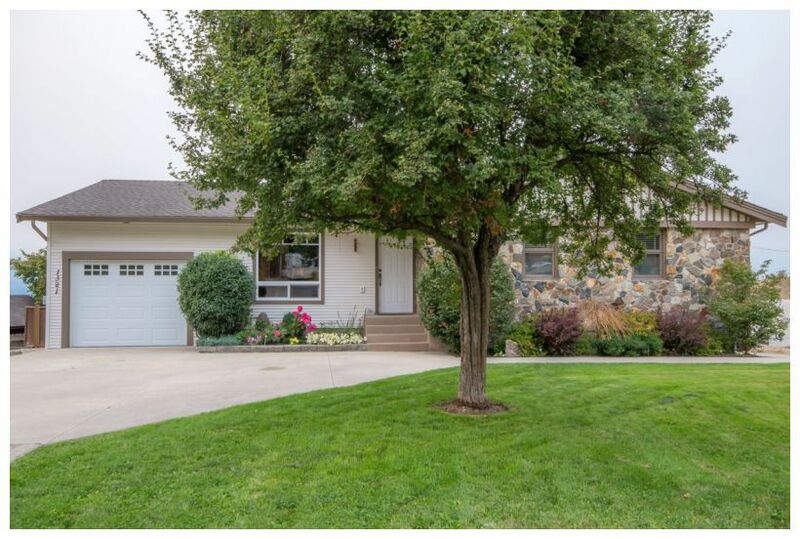 the huge oversized lot is 74' x 240' offering a large backyard including a concrete patio of the enclosed sunroom & full hot tub connection rough-ins. Very nicely landscaped with mature trees, shrubs & flower gardens. See more info here at BIGRob.ca then call Rob McKibbon at 250-804-6288 for your viewing appointment today! Thanks for your interest!